Iconic L.A. street artist Shepard Fairey is expressing his love toward Chinese artist activist Ai Weiwei in the most Shepard Fairey way possible, turning Ai's beloved visage into an iconic poster. The image, rendered in Fairey's classic faux-propaganda style, features Wei with a furled brow and a gash on his head -- a reference to his 2010 confrontation with Chinese police. The warm red and orange tones contrasted with the thick black lines conjures feelings of strength, violence and hope all at once, an appropriate combination to honor one of the world's most fearless dissident artists. Ai, a political artist known for challenging authority and fighting for freedom of expression through minimalist artworks and internet activism, has been under house arrest since 2011. His passport is still in the possession of the Chinese authorities since it was confiscated that year. 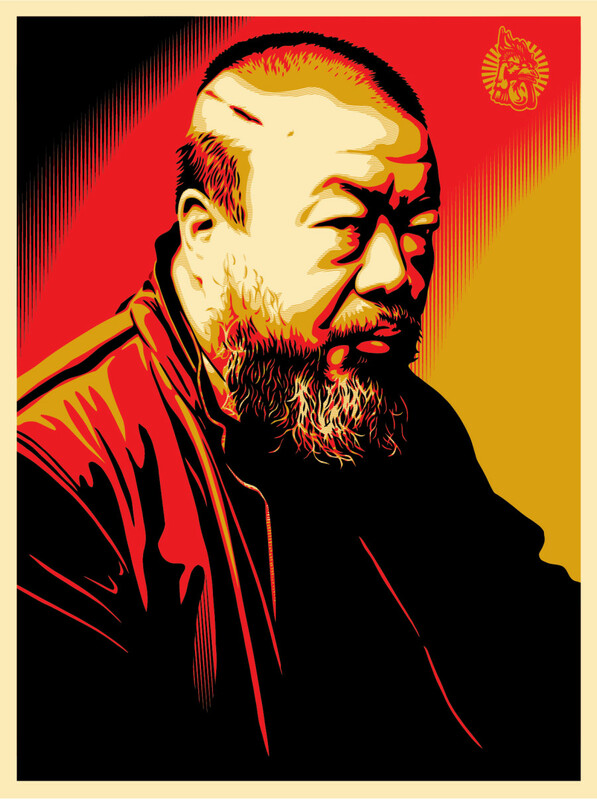 Fairey created this poster in collaboration with Friends of Ai Weiwei, a group dedicated to retrieving Ai's passport, allowing him to travel freely and visit his exhibitions worldwide. "I admire Ai Weiwei for his art and his activism. His art is beautiful in form, and in function embodies the principles of populism and social consciousness I aspire to in my own practice. This poster is a tribute to Ai Weiwei’s art, his courage to be outspoken, and in support of his ongoing political struggle with the Chinese government. I hope the image will help raise awareness and advance dialogue that might lead to permission for Ai Weiwei to travel freely and continue to express himself."